This dictum, first spoken by New England ski pioneer Otto Schniebs, has guided the museum’s board for more than a decade, as ski luminaries including Stein Eriksen, Tom Corcoran, Herbert Schneider, Penny Pitou, and Bernie Weichsel have been selected for the honor. The award to the Cochran Family encompasses three generations of Cochran skiers, all of whom have been involved with both competitive skiing at the highest levels, and at the same time with the operation of their vest-pocket non-profit ski area in Richmond that has taught hundreds of local children to ski and race. Parents Mickey and Ginny Cochran, now deceased, built the ski area behind their home by hand, with the assistance of their four young children, Marilyn, Barbara Ann, Bob, and Lindy. All four trained on the hill, then went on to the U.S. 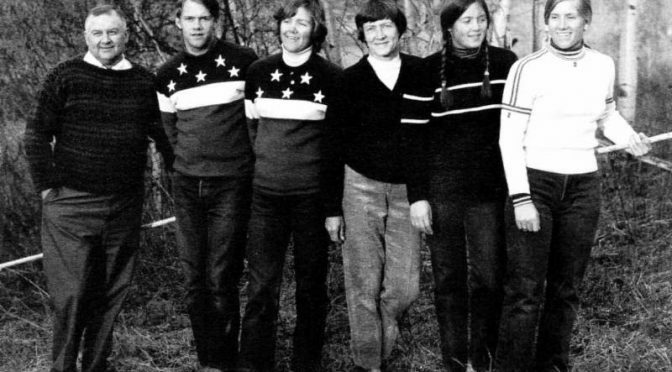 Ski Team, with Barbara Ann winning the 1972 Olympic gold medal in slalom. Mickey himself coached the U.S. team for several years after that. The four Cochrans’ first skiing was learned at the now-defunct Mount Ascutney, in Brownsville, Vt., where father Mickey was manager for the dismal 1950-51 season, then was a weekend ski instructor while teaching at Windsor High School. Until the end of the 1958 season, parents and children skied together at Ascutney, with Mickey’s introduction of Lollipop races as a key motivator. By 1960, Mickey was a General Electric engineer in Burlington. Mickey and Ginny bought a farmhouse in Richmond with extensive hillside acreage, and set to work clearing the slopes that they envisioned as a backyard ski area for their family and friends. Mickey engineered and built a short rope tow, and by February 5, 1961 there was sufficient snow to open. Soon the Cochrans were letting the public in to ski for 25 cents per day on weekends. With no master plan to insert his four children into the highest levels of national ski competition, somehow the combination of Mickey’s coaching based on his understanding of the physics of ski racing, the draw of the slalom gates on the ski slope just steps away from the house, and the innate fitness and athleticism of the Cochran kids led all four to berths on the U.S. Ski Team. From 1969 through 1978 there was always at least one, and usually more than one, Cochran on the A team. Marilyn, Barbara Ann and Bob all represented the nation in the 1972 Winter Olympic Games, in which Barbara Ann took home gold in the slalom, while Lindy skied for the 1976 Olympic team and recorded a very respectable 6th in slalom. Presently, Barbara Ann’s son Ryan Cochran-Siegle is on the U.S. “B” Team, while his cousins Roger Brown, son of Marilyn Brown, and Lindy Kelley’s children Jessica Kelley and Tim Kelley preceded him to the U.S. team. The emergence of eight U.S. 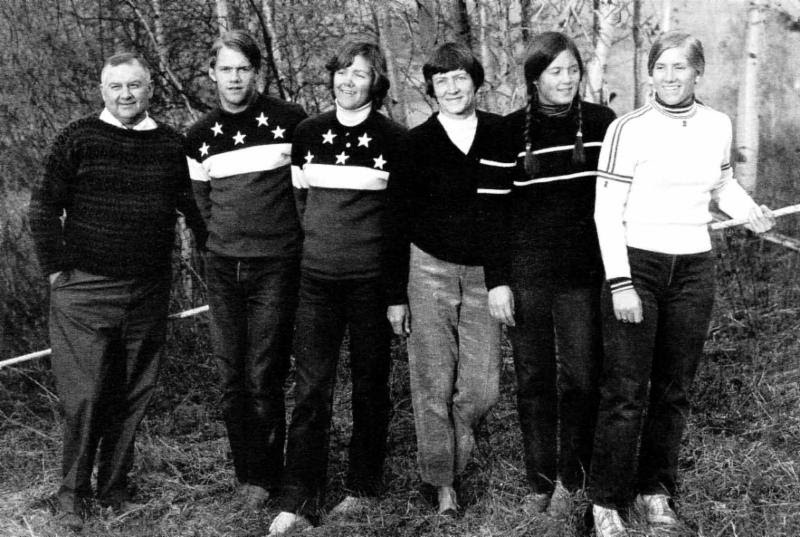 Ski Team members over two generations from a handmade rope tow area in Vermont is one of the more compelling stories in competitive skiing, and Ski Museum members and friends have the opportunity to celebrate the Cochrans at the Spirit of Skiing Award presentation. The public is invited to the annual meeting and dinner of the Museum which is capped by presentation of the award. The cost of the dinner is $75 per person, and tables of 10 may be reserved for $750. The event opens with a reception from 5:00 to 6:30 p.m., followed by a short business meeting and then a buffet dinner. Reservations may be made by calling the museum at 800-639-4181, or online at www.newenglandskimuseum.com/events. Reservations should be made prior to October 20. All proceeds from the event support the non-profit organization.